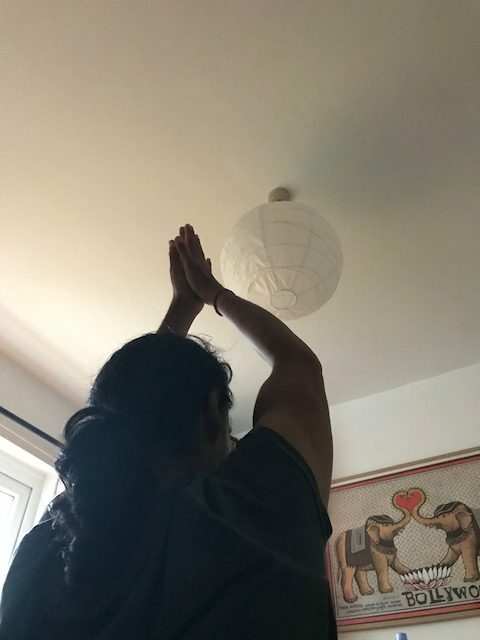 The first time Nish and I took on a 40-day 11-minute Sat Kriya commitment, we redecorated the house. It gave us such a mega boost of energy, it was impossible to not do anything. It was such a creative, dynamic energy too. A painting-the-front-door, sanding-the-bannisters, pulling-off-old-wallpaper, replastering-the-walls kind of energy. Oh yes, That 40-day 11-minute Sat Kriya redecorated our house! 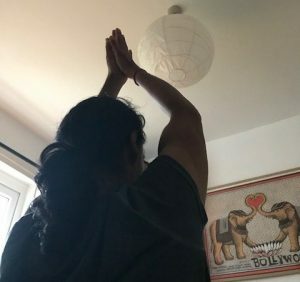 My intuition had been barking at me for some time to do another 40 day 11 minute Sat Kriya – and I’m very glad (in a masochistic kind of way!) I eventually listened. Nish decided to do it with me once more, although nervously. The first time around, despite achieving so much physically, it also stirred up a lot of tricky emotions for him, specifically anger. So take 2 of 40 days 11 minutes Sat Kriya, and the tables turned! This time Nish glided through the 40 days, easy peasy and loving it, while I had a really, really tough time. I found myself embroiled in bizarre life situations with a recurring claustrophobic theme, and my usual clarity somehow wasn’t available to me. Anxiety and difficult emotions reared their heads. I had an inkling it was sat kriya stirring the pot. We’re digging deep into our lower chakras with this kriya, fishing up all kinds of old stuff and airing some shadowy places. When I realised that Sat Kriya was stirring up stuff, with life becoming very uncomfortable, it became increasingly tough to stick with it. Especially when every passing day of practice seems to aggravate and magnify the feeling of helpless claustrophobia. I felt so squeezed by the time I reached day 39 that I had a mini explosion. I got a lot of stuff off my chest with a lot of people – in a good way. And that was it. Boom! Problem solved. By day 40, the sky was cloudless again, I felt an immense sense of space and freedom. And relief! The claustrophobia dissipated. Seriously, that’s how it happened. A build up of clouds and storms all the way to day 39, and day 40 was crystal clear. I was still happy to part ways with Sat Kriya though. I’m no martyr! Sheesh, it’s a strong practice and we never know what we’re going to get with it! Nish is still ploughing on though. I think he must be on around 90 days by now, and he feels so energised and focused. It’s great to see. Maybe I’ll do it in another three years and see how I get on. Until then, peaceful shores for a while!